Join Team Believe - Become a Younique Presenter! Calling all Salon owners, Freelance Makeup Artists, Estheticians and WAHM's!! 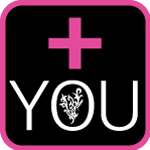 Become an Independent Younique Presenter and promote the HOTTEST NEW line of naturally based cosmetics and skin care products on the market today. Our Younique Royalties Program ™ (compensation plan) is not only generous, but also one of the easiest to understand, and to explain to your prospective team members. Our greatest desire is that you become successful in your Younique business venture. As a presenter you will earn 20%-30% commissions on your own sales plus 3%-5% on the team you build. Younique has been growing at a record breaking pace!! As of March 2015 we are at over 186,000 presenters throughout the U.S., Canada, Australia and New Zealand and the UK!! All kit prices do not include shipping.